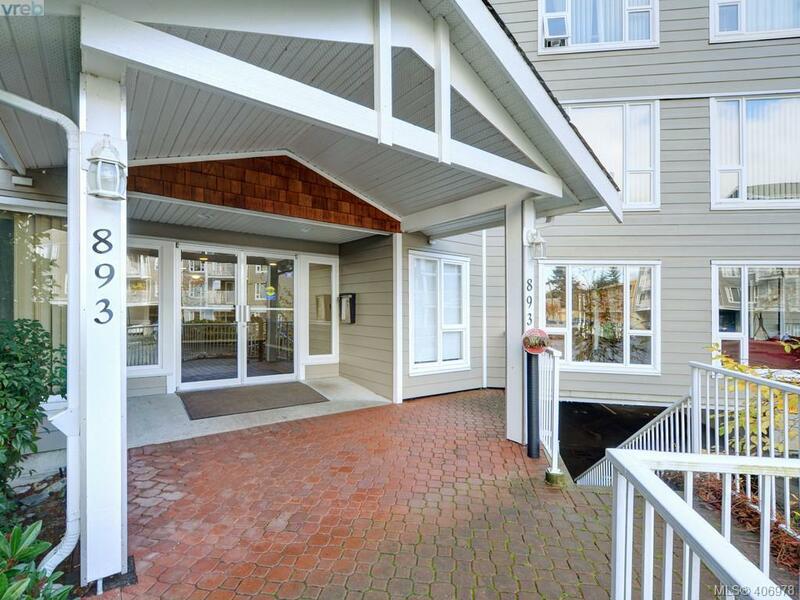 Description Spacious & bright, East-facing unit on the wooded/quiet side of the building in central Langford! Built in 2004, this 1bed & bath condo features open-concept living & has been well maintained w/only two previous owners. The spacious living room overlooks mature Douglas Fir trees & opens to a covered balcony with ample space for a BBQ, table & chairs â€“ a great space for outdoor lounging. Back inside, the functional kitchen makes mealtime a cinch, featuring ample counter & cupboard space, modern stainless finishings and newer appliances. The huge island w/granite-top will be entertainment central as an eating bar & extra space for meal prep. Just off the kitchen is space for dining & a desk. Spacious & sunny bedroom w/walk-in closet & sliding doors that give way to the balcony. Easy-care floors throughout. Includes underground parking space & storage locker. Bring your pets to this all-ages, fully-rentable building! Central location w/all amenities within walking distance!